It is a favorable stage for escapes following a mountain stage that will have created differences among the groups. 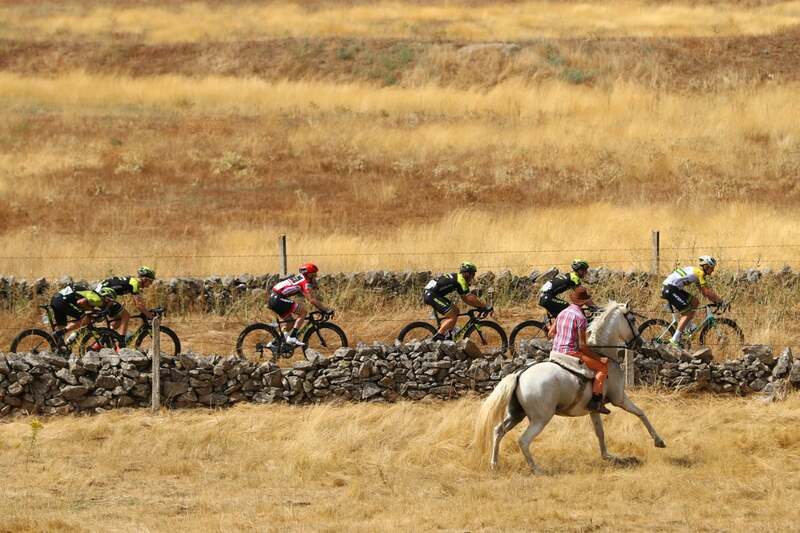 The final part of the stage is tough, which will complicate the efforts of the teams hoping to position their sprinters. Those who breakaway may have a chance of winning. 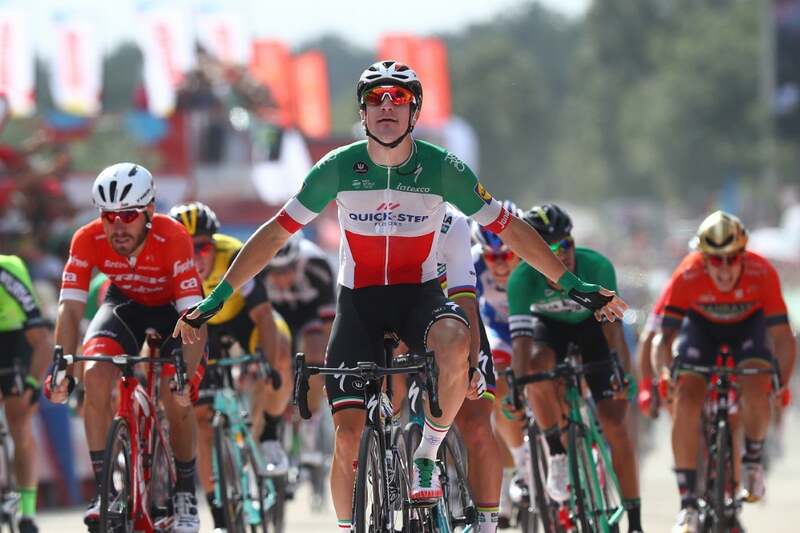 The perfect lead-out combined with the perfect finishing sprint Tuedsay, and Elia Viviani handily took his second Vuelta a España win in stage 10. 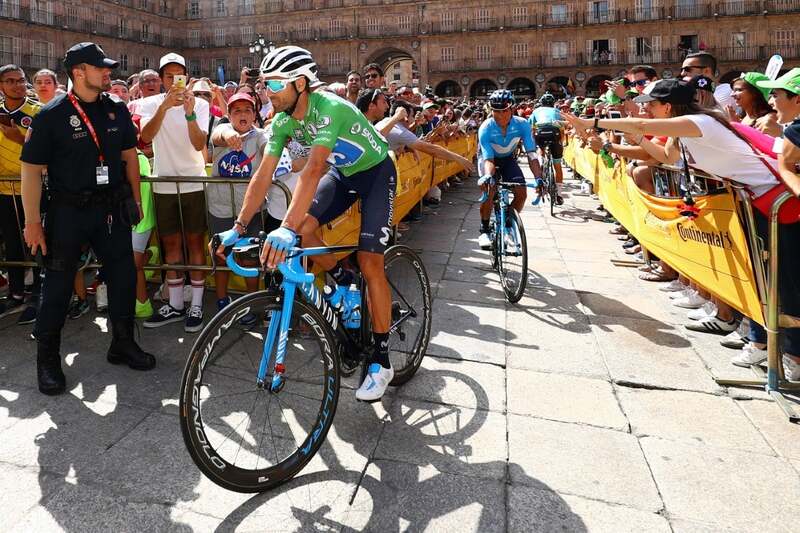 World champion Peter Sagan (Bora-Hansgrohe) was right on the Quick-Step rider’s wheel but he couldn’t challenge for the win in Salamanca. Giacomo Nizzolo (Trek-Segafredo) was third. Adam Yates (Mitchelton-Scott) kept his overall lead despite a flat tire in the final 20 kilometers. Overall, the peloton took a relaxed approach to the first stage after Monday’s rest day. 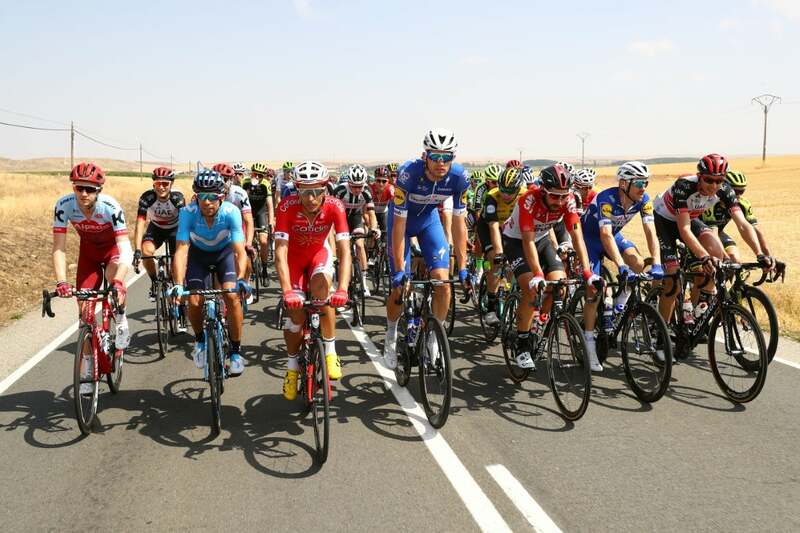 Jesus Ezquerra (Burgos-BH) and Tiago Machado (Katusha Alpecin) rode off the front for much of the 177-kilometer day, but the sprinters were intent on contesting the win. 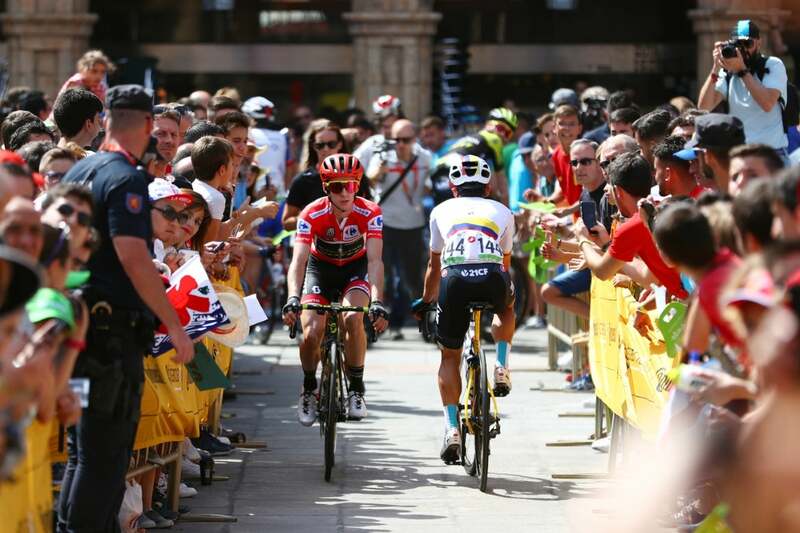 Things got a bit hectic in the final 20 kilometers as a number of top GC favorites punctured: Yates, Nairo Quintana (Movistar), and Wilco Kelderman (Sunweb) all had trouble. They all successfully chased back to the peloton before the finish. Although Kelderman had more difficulty in the finale, it occurred in the final 3km so he was not docked time in the overall. 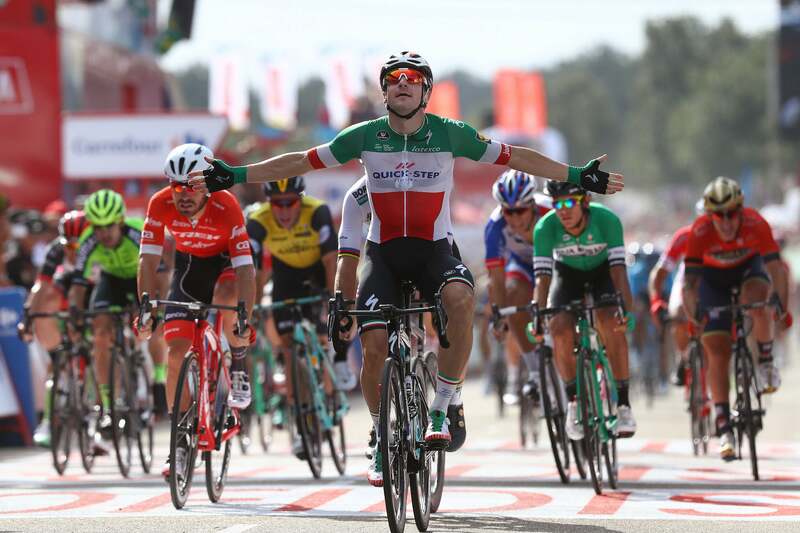 Viviani characterized his Quick-Step team’s lead-out as perfect, but it was almost spoiled in the final kilometer as Bora’s Lukas Postlberger took a flyer. 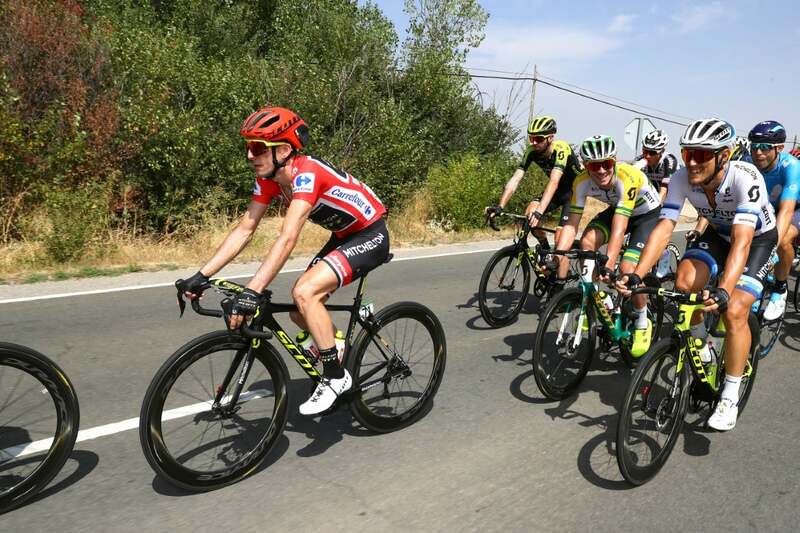 However, Viviani’s train was prepared and put Michael Morkov on the front with about 750 meters left to chase down the Austrian. 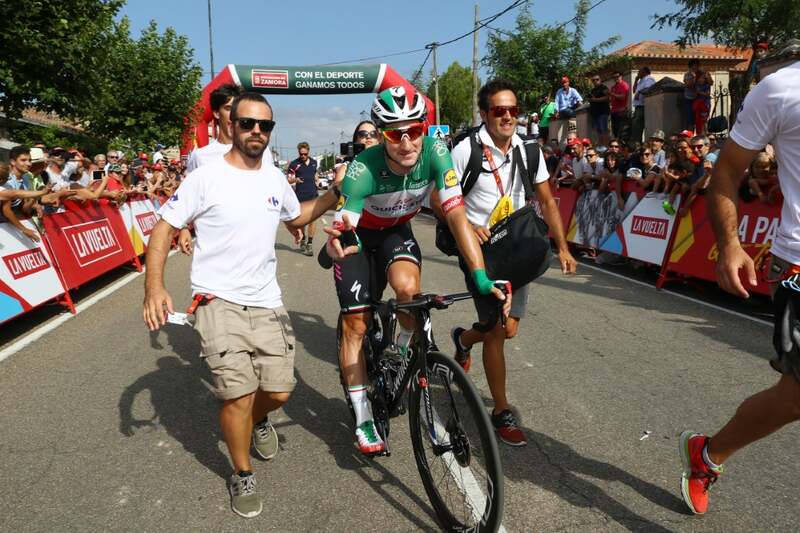 Then, Viviani’s fellow Italian Fabio Sabatini took over the lead-out, delivering his sprinter to the final 200 meters. Viviani hugged the left barriers and wound up his sprint. Sagan was right on his wheel but didn’t even attempt to overtake his rival in the final meters. 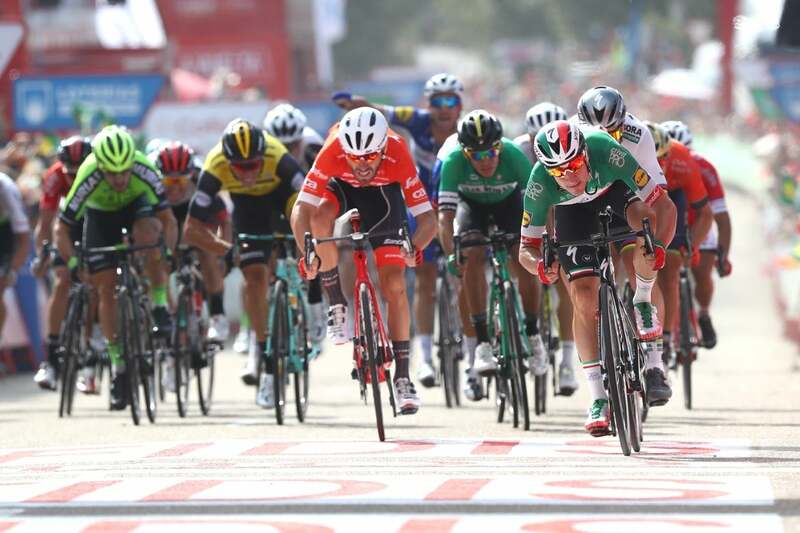 The Slovak world champion did earn a consolation prize, the green points leader’s jersey, which he took off the shoulders of Alejandro Valverde (Movistar), who remains second overall, one second behind Yates. 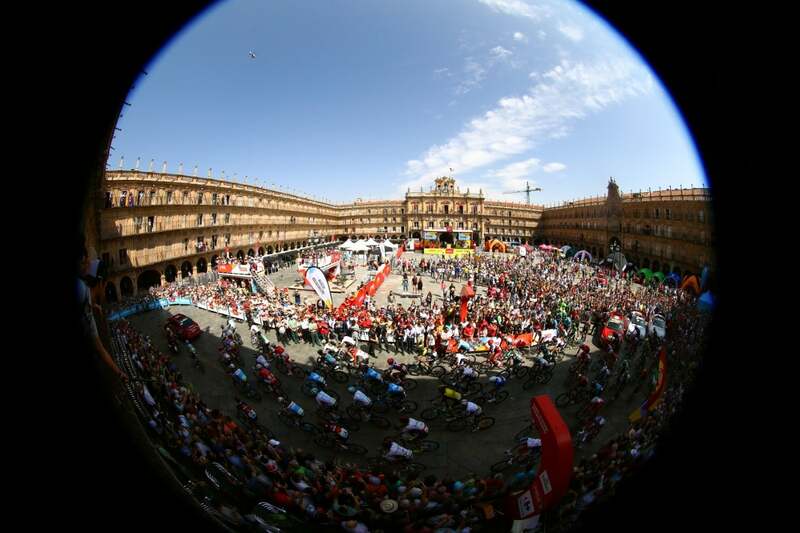 Wednesday’s stage 11 will be the Vuelta’s longest stage at 207.8km. The lumpy run to Ribeira Sacra. Luintra includes four categorized climbs, so it might be another opportunity for a breakaway.